Staffordshire Young Farmers Clubs (YFC) held their sixth successful Christmas Shopping Evening on Thursday 6th December at The Ingestre Suite on the County Showground, Stafford. The vast room was filled with 63 stalls from across the Staffordshire selling local produce including Nelsons Gin based just outside of Uttoxeter and The Wissage Bakehouse, who are based in Aston just outside of Stafford. Also attending was local Stone YFC member, Becky Roe has just launched her new company called “Pebble and Sage” designing original and unique prints, cards and invitations. Becky has also recently benefited from a grant from Staffordshire YFC, to help her with her design company, helping her business to flourish and grow. The newly formed Cheadle YFC members also put their creative skills to the test and bought along a stall with handcrafted decorations and gift ideas to help raise funds for the Club. The YFC Office had to set up a waiting list during the month before as stallholders were desperate to secure a pitch at this growingly popular event. Doors opened to the public at 6.30pm with a brisk trade all evening, with over 380 visitors who were greeted with a freshly baked mince pie and warmed mulled wine to set the festive scene for a great indoor shopping experience. The federation were well supported again by local turkey farmer Sandra Hopley based in Tixall, who kindly supplied hot turkey rolls on sale, which smelt delicious as everyone arrived. There was also a raffle held during the evening, kindly supported by many of the stallholders who donated prizes and manned very well by Pav and Isobelle of Barclays Bank who very generously agreed to match fund on the evening through the Barclays Bank community initiative. Staffordshire Young Farmers will be holding the evening again next year on Thursday 5th December as part of their vast calendar of events which raise funds for the organisation, which is a registered charity. This enables the Federation to provide support, training and competitions to its membership which is now over 550 young people aged 10 – 26 years. Launching the County Show this year, Staffordshire Young Farmers Clubs host the Pre Show Reception on Tuesday 29th May. At the reception, the YFC members from around the 11 clubs in Staffordshire put on “YFC’s Got Talent” which has in the past included Ballet Dancing acts, synchronized swimming and some very funny comedy sketches. This year’s reception is kindly sponsored by Abbotsholme School, Rocester along with Stafford Land Rover dealers and will be attended by over 150 sponsors, supporters and invited guests of the Federation. Staffordshire YFC will be showcasing just what being a young farmer is all about inside their marquee which is erected to the side of their purpose built office on the showground. The marquee is always a hive of activity, and with their theme this year being “Magic and Mystery” there will be plenty to see and do. Attractions inside the marquee this year include “Splat the Rat”, “Milk the Cow”, Scarecrow Competition and Hook a Duck. As well as all this, there is the National Male and Female Tug of War Competitions in the Main Ring on the Wednesday evening and the Show Float Competitions to the theme of “British Sitcoms” on Thursday afternoon. Clubs have already started to build their floats and the general public will be entertained greatly by their versions of Dad’s Army, Fawlty Towers and even Gavin and Stacey, parading in the main ring. The Show Marquee has been kindly supported by Shires Vets again this year who have sponsored all YFC helpers with a free polo shirt as well as giving away joint Jute Goody Bags filled with items from Shires and Staffs YFC. Making a special appearance at the County Show, the Federation’s Giant Wooden Oatcake, which is touring around the County will be available for a photo opportunity. The Oatcake started its tour with Ashley Young Farmers back in March and is currently with Ridware Young Farmers who are taking it on a Steam Engine Tour around Abbots Bromley this Sunday, 20th May. The purpose behind the giant Oatcake, is that whilst the Club has possession of it, the members hold an activity which will fundraise for Young Minds, the leading mental health charity for young people. So far, the clubs have raised in excess of £2800 towards this worthy cause, with six more clubs still left to hold their events. The most recent activity was Uttoxeter Young Farmers who peddled non-stop for 12 hours on an exercise bike at the County Annual Rally Day. 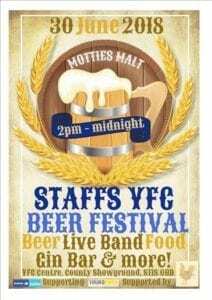 The final event is a Beer Festival on 30th June being held outside the YFC Centre on the County Showground. The afternoon and evening event will feature 15 different beers, a bouncy castle for a family fun afternoon and live music in the evening. For information on becoming a member or details of your local Club, or details on any of the YFC activities, please come and visit the YFC Marquee at the County Show where we have many of our members who’d be happy to talk to you. 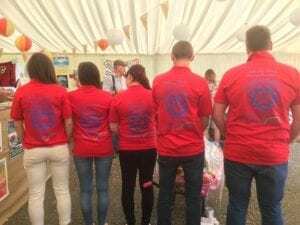 Staffordshire Young Farmers celebrated the end of 2017, and slightly early celebrated the new year, at the County Showground. Pictures are in the Photos section of this website. Scrap Book Competition 16/17 Launched! All Clubs are invited to enter a Scrapbook into the Annual Competition which is judged after Thursday 5th October when all books are due to be submitted. The Scrapbook Award is presented at the Annual General Meeting which is being held on Friday 10th November, 7pm at The Ingestre Suite, County Showground, Stafford. For the Rules and Details of how your Club’s Scrapbook could take Staffordshire’s top spot for 2016/17, have a read below. Cheadle YFC up and running! Following a very successful campaign by Staffordshire YFC, Cheadle Young Farmers Club has been running with an attendance of 40+ young people from around the area since Wednesday 28th June. The Club will be holding their Inaugural Annual General Meeting on Wednesday 6th September where the Club’s Constitution will be formally adopted, membership fees confirmed and most importantly, a set of new Club Officers will be formally elected to their positions as Club Chairman, Club Secretary, Club Leader and a number of smaller roles which are essential for the smooth running of any YFC club. On this night, members can pay their subscription for the year and will be issued with a membership card. The Club will then become the 11th Club within Staffordshire YFC, and hopefully take the coming year’s County membership total to over 700. Details on the venue and time for this meeting will be published shortly. 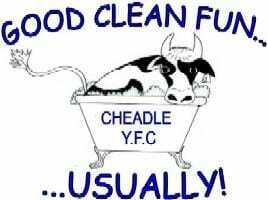 To find out more about becoming a member of Cheadle YFC, contact our County Office on 01785 248645 or our County Chairman, George Goodwin on 07974 730604. Staffordshire Success at the Great Yorkshire Show! 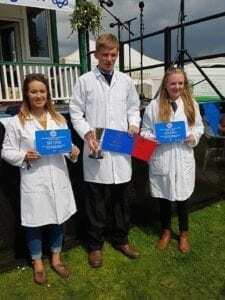 Six members have been representing Staffordshire in the NFYFC Dairy Stockjudging Finals, well done to Chloe Boothby (Uttoxeter JNFU), Beth Robinson (Lichfield YFC) and Will Gallimore (Uttoxeter JNFU) for taking part. 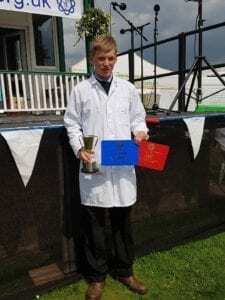 A massive well done goes to Peter Cotton (Waterhouses YFC) for bring home 1st place in the Junior section. Peter narrowly missed out last year after taking joint 2nd overall in the same competition last year. The Overall Team gaining second place with Peter Cotton (Waterhouses YFC), Kate Mollatt (Uttoxeter JNFU) & Sammie Wilson (Eccleshall YFC). A very successful Great Yorkshire Show for Staffordshire YFC! !